October 16, 2015. They wanted to combine their backgrounds incorporating a Jewish Kippah with a traditional Hmong design. This was a very custom job and Paul was willing to pay to get this done. As you can see, they turned out gorgeous! Introducing out new linen kippit. $3.00 each. 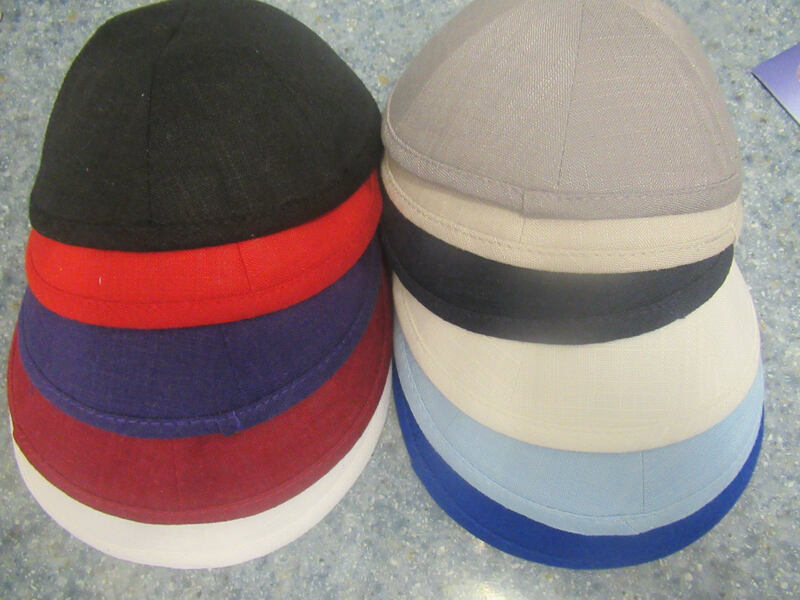 Introducing our new linen kippah. These are so light and summery but can be worn year round. We have 7 colors to start with and they are all lined in white. Choose from Black, Navy, Royal ( not shown) Turquoise, white, ivory and medium gray.